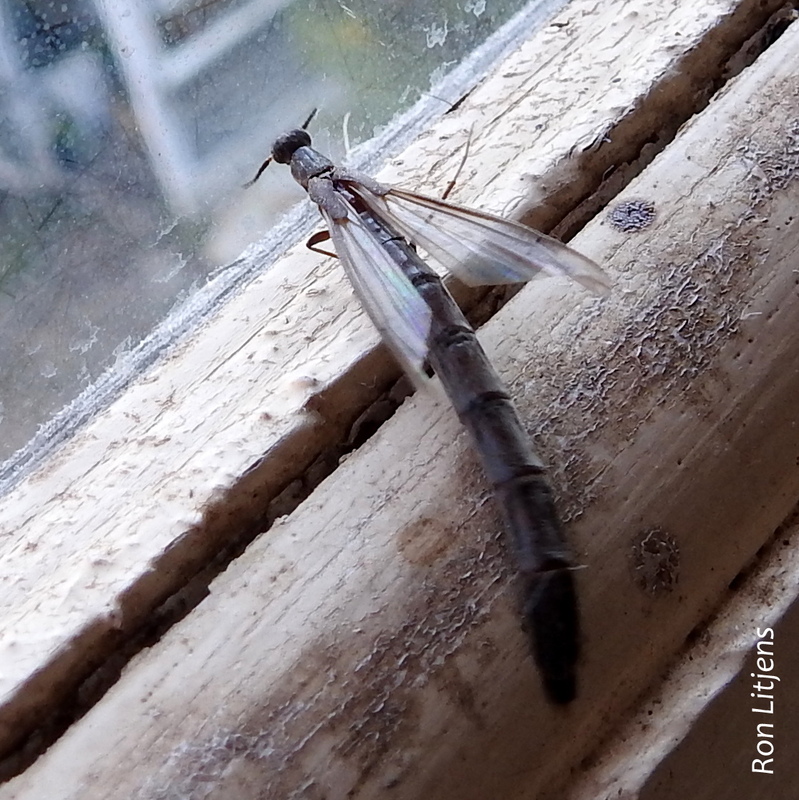 It is not every day that I see an insect that I am at a total loss to identify, even at an Order level, i.e. beetle, butterfly, wasp, etc. Usually I can guess what it is by looking at the physical characteristics and because I have seen it, or something similar, before or have seen a picture of it. 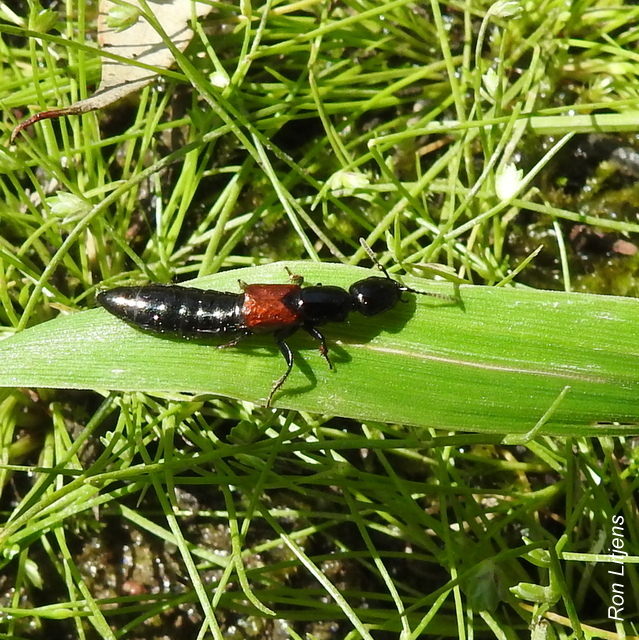 Take the Rove Beetle for example (pictured left). Even though looking at it one would be hard pressed to identify it as a beetle I had seen pictures of it before so the identification was not that difficult. This week a night insect (see picture right and below) flew into the lounge and landed on a lamp shade. It had a long tapered body consisting primarily of abdomen which it waved around energetically and wings which only extended part way down the body. 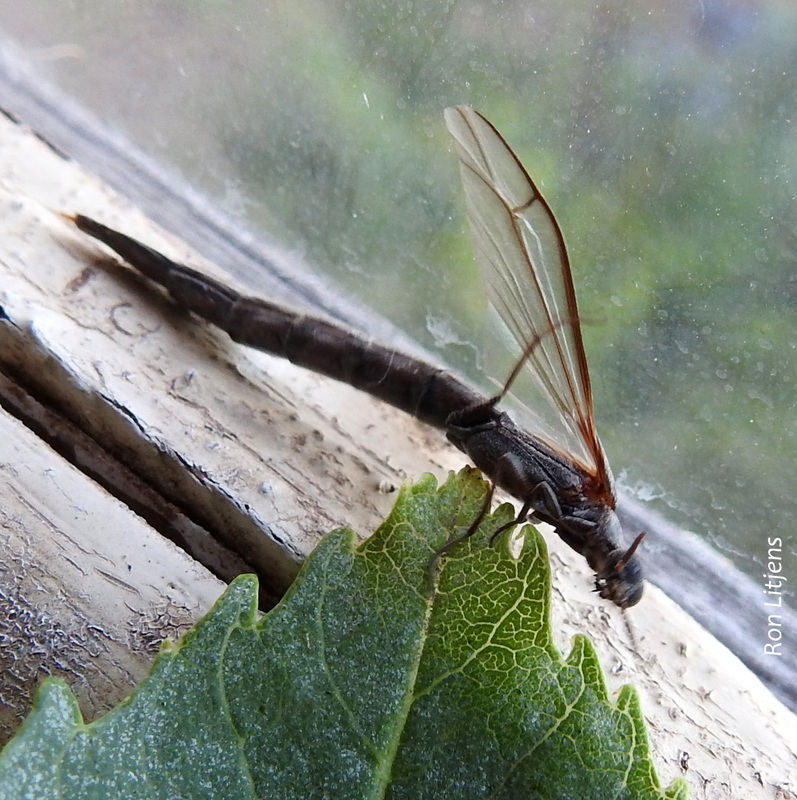 It also had short antennae and fly-like eyes – sort of lacewing, sort of owlfly, but not quite. My usual ‘go-to’ websites of insects photos like http://www.brisbaneinsects.com and http://www.lifeunseen.com did not come to my rescue this time. I’ve never been in this situation before. So my blogger colleague Macwake posted the picture on www.bowerbird.org.au and asked the question. And sure enough someone (Simon Ong) identified the critter as a beetle of the family Lymexylidae of the genus Atractocerus. Larvae of this genus are wood-boring. The eggs are deposited in the crevices of bark by means of a long ovipositor and the larvae when hatched bore straight into the wood. The wood shavings are used to block the tunnel from predators or parasites. To say the insect is boring is factually correct but the hunt for its identity was not.